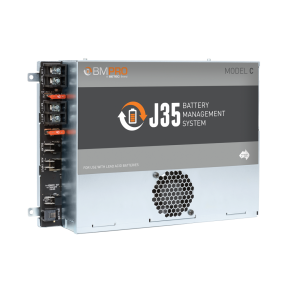 BMPRO’s BatteryPlus35HA is a revolutionary high amp battery management system designed for high amperage battery charging and is LiFePO4 (Lithium capable). 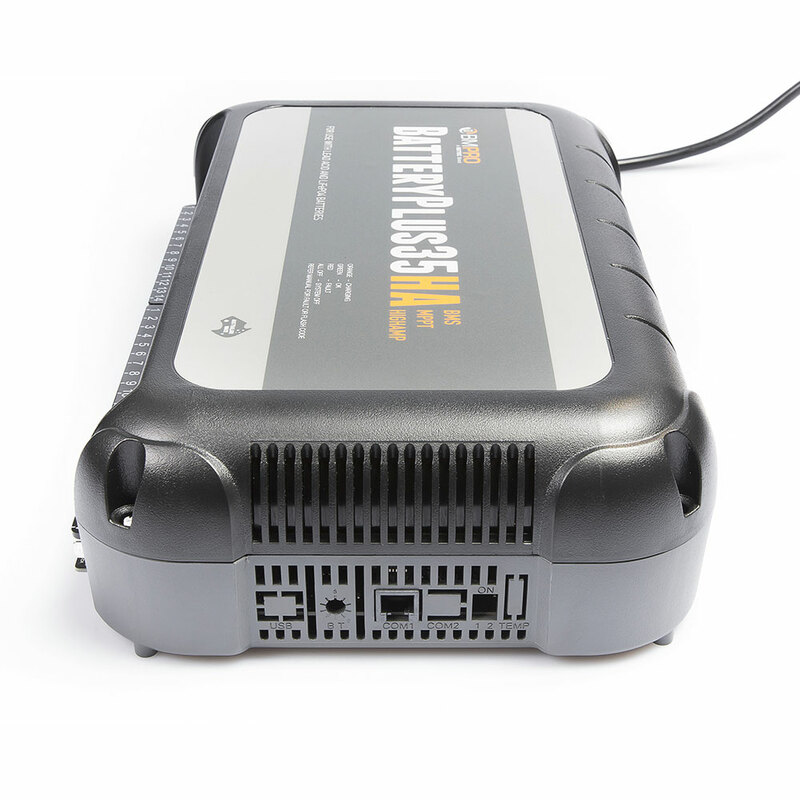 This all in one power solution includes a 35A power supply for 12V loads, 30A multi-stage AC and Solar MPPT charger and a host of battery protection features. 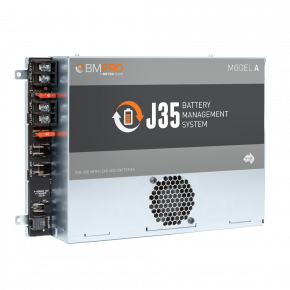 Designed and manufactured in Australia, the slim and sturdy BatteryPlus35HA is fully equipped to charge the current generation of deep cycle batteries. 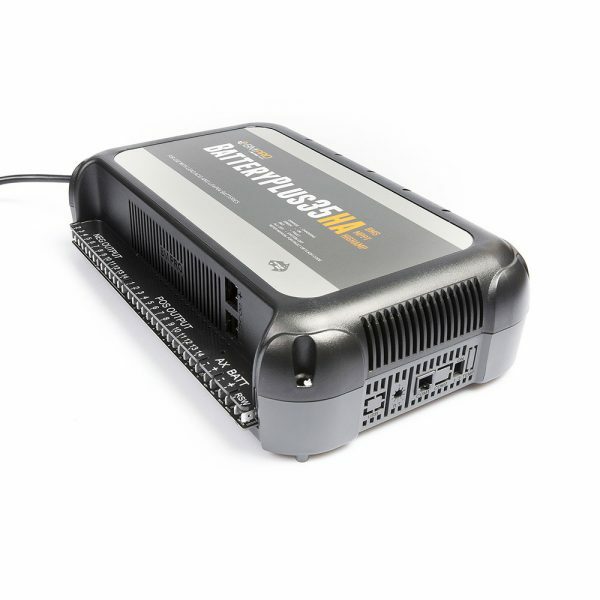 This system has been specifically designed to communicate with the innovative accessories such as the Trek display and monitoring unit-providing a new recreational vehicle experience. Can the Trek be used with power supplies other than the BatteryPlus35HA? The Trek has been designed to only function with the BatteryPlus35HA unit. Although the BatteryPlus35HA can be used without the Trek monitor, the Trek cannot relay data on it’s own. 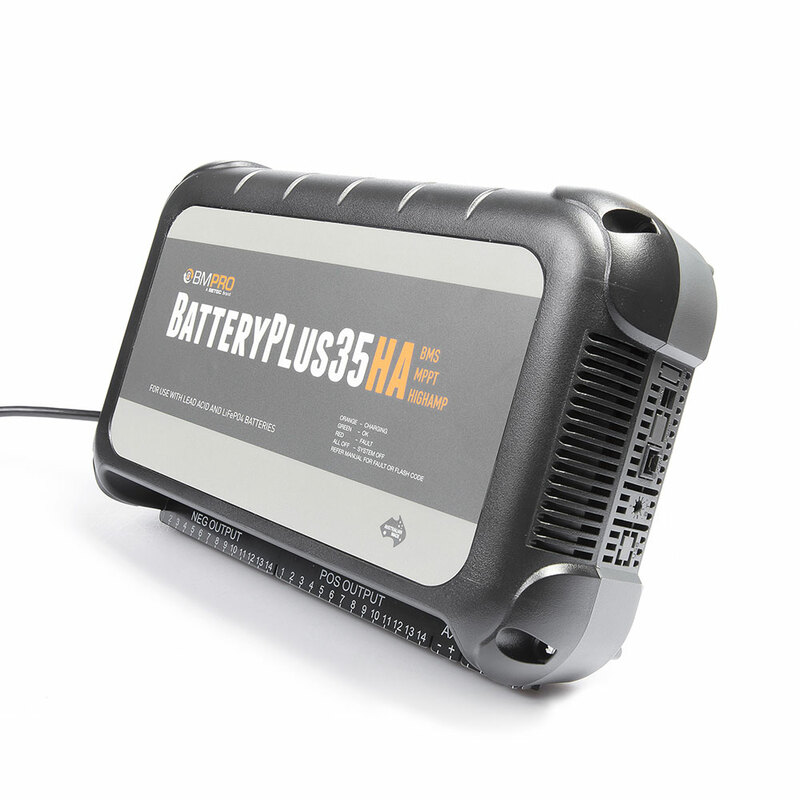 Why should I use the BatteryPlus35HA and Trek combo over a standard battery charger or voltmeter? 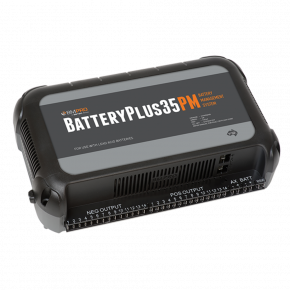 The BatteryPlus35HA and Trek system is a fully integrated Battery Management/Monitoring system. 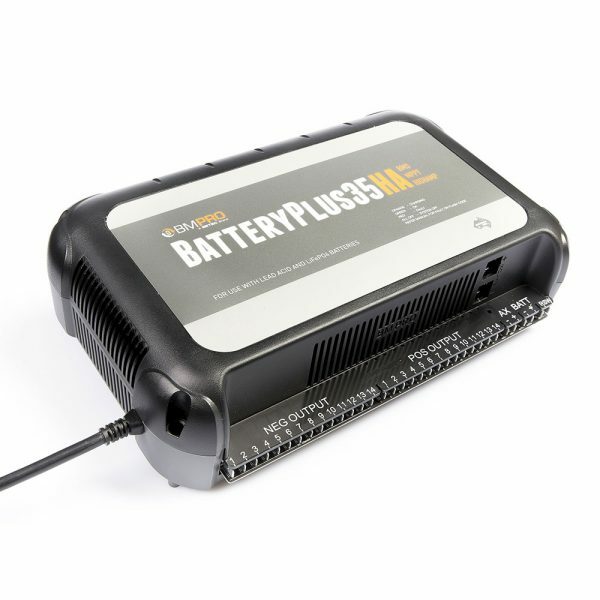 It includes a battery charger, power supply, low voltage disconnect, 12 output distribution board (rated at 10 & 15 amps), built in solar regulator, electronically reset-able fuses, AUX connection (direct connection for Anderson plug), water tank monitoring and battery charging/discharging ratings. The Trek unit can then display net amps, amps in from solar panels and amps in from AUX input whilst also controlling two water pumps. 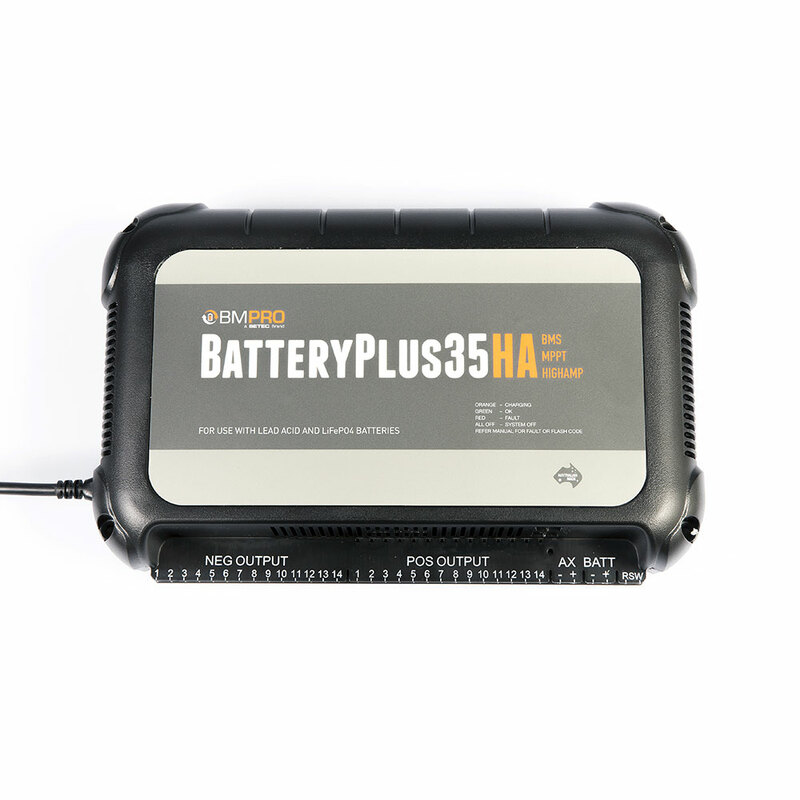 What size charger is the BatteryPlus35HA? 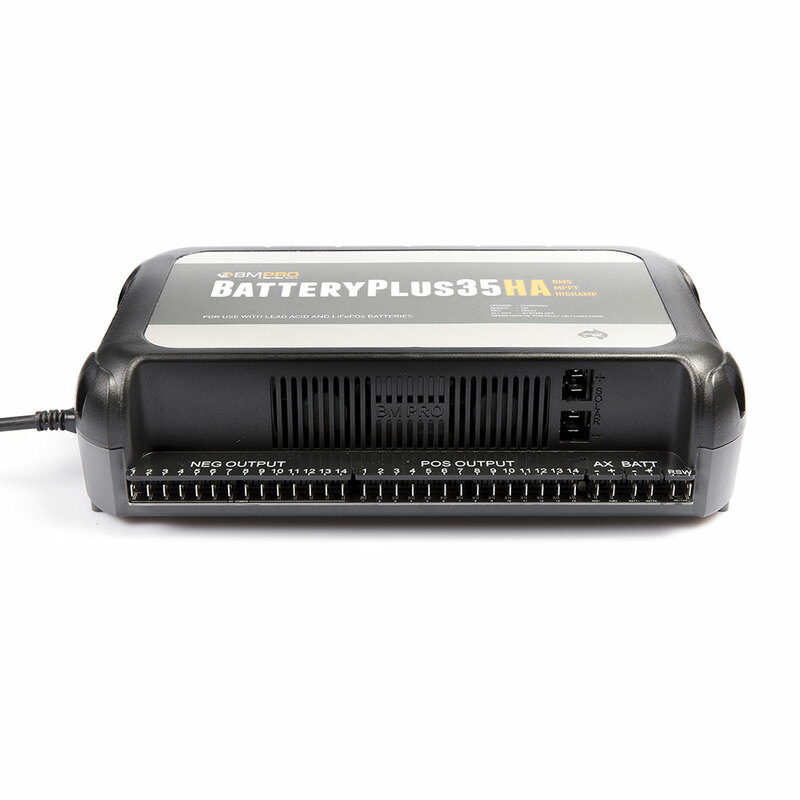 How do I connect solar panels to my BatteryPlus35HA? 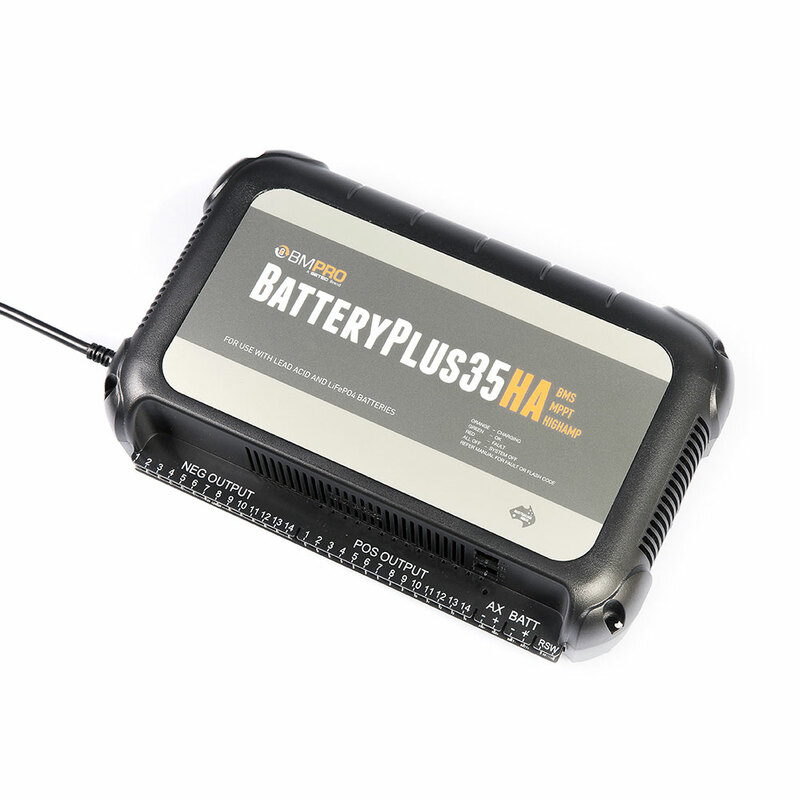 If your BatteryPlus35HA unit has solar in built, the positive and negative leads from your solar panels are connected directly to the solar input and output on the solar distribution board. The solar regulator is in built for this.